Many of the writers for this website know what a huge Star Wars fan I am. Many of the same writers themselves are Star Wars fans. Heck, if it were not for staff writer Jake Grunwald, I would have never played the game I’m about to review. 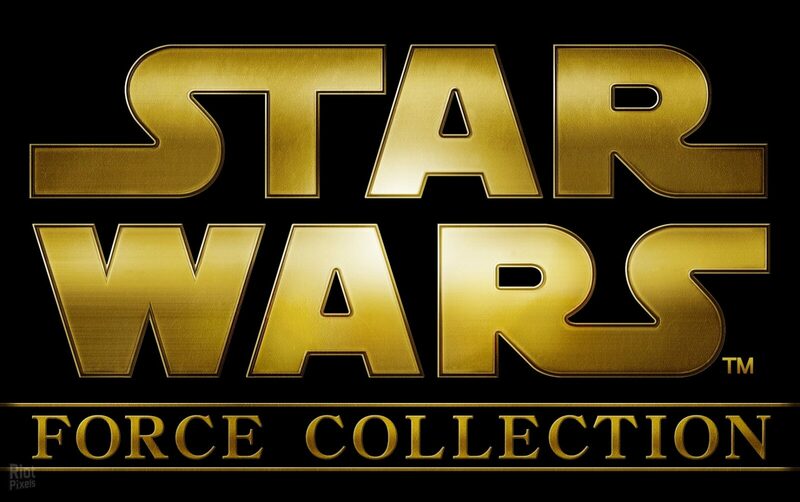 The game is Star Wars Force Collection. I have been disappointed with many of the Star Wars games that have hit the Android or iPhone realm. After looking at the game and seeing its concept, I thought this game had potential, and I might as well give it a try. This resulted is my wife yelling at me to get off of my phone, because this game can been highly addicting. The basis behind this game is somewhat unique. It’s a trading card game mixed with live action game play. The player must collect cards, (whether it be light side, dark side, or neutral characters), assemble a battle formation for attacking and defending, and then attack other players that have the game if he or she chooses. The player can also choose to do quests that earn the player credits that can ben spent on upgrades, experience to level the player up, or Blue Prints to build powerful vehicles to assist in battle formations. The concept may take a minute or two to get used to, but for anyone who have played mobile device games like World War and Galaxy at War, the mechanics are familiar. For being a beginner, the game may be a bit overwhelming with the quests, battling, and leveling up. Navigating the home screen and all of the tabs on it still has me figuring it out, even now. But once I got the mechanics down to the game, things start to run more smoothly, and I began to level up. For those Star Wars fans that were also baseball card collectors, this is like an electronic version of that. There are over a thousand cards to collect varying in rarity from one star (common) to five-star (super rare). Within those thousands of cards are hundreds of characters of various rarity and levels. Typically, a five-star character is one of the most powerful cards in the game. A player that has one can easily dominate players with lesser ranked characters. Each character can also be upgraded with the use of the credits earned through quests and in-game bonuses. Once maxed, a character card can be a threat to the enemy in the battle formation, or a card desired by another player who is willing to trade. Players can ally themselves with other players which gives the benefit of using other players cards in battle, and trading with them. Trading is fairly simple to do, but time-consuming because once the player sends the trade request, the other player has to look for the cards he wants to trade, and then send them to you. In order to trade, you have to be an ally of the other player for two weeks. You can trade sooner if you have a trade ticket, which are hard to come by. Early on in the game you may not trade very often because of the lack of cards you have, but after several days as the number of cards you have increase, trading can be important, especially if the player is looking for a rarer card. Battling in the game is fairly simple, but does take some strategy. The battle ground is a grid. On that grid the player places his or her cards on certain spots on the grid. Cards have different ranges from short attack, medium attack, and long-range attack which should be considered before placing them. Placement of these cards on the grid can lead to a victory, or a loss based on their location on the grid. Each card also has a cost associated to it, and this cost can affect what cards are placed on the board at any given time. Increasing cost is done by leveling up or adding allies. Winning or losing is based on the players total attack score and strategy, and the opponents score and strategy. These scores are determined by numeric attack and defense numbers on each card. The score can mean a lot, or it can mean very little. What is meant by that is if a player places a high attack value card in front of the formation, and attacks a weaker opponent, the higher attack may not necessarily win. Depending the positioning of the opponents other cards, several cards could be defending against the player due to the ranges of the cards. Character and Leader bonuses can also add extra points to attacking/defending units, so picking battles can be an art, and takes time to master. I lost many battles in the beginning due to a poor formation. Once I mastered how the formation worked, I soon began to place my cards in better locations on the grid, which led to more victories. Collecting cards while striving to seek stronger versions of those cards through upgrading and obtaining rarer, more powerful versions of those cards. Those cards are then used to battle other players from around the world, and winning battles places you in a global ranking system. Essentially the game is a digital trading card game similar to Pokemon. The player also has the ability to choose the light side or the dark side. Keep in mind that his game is a free game played on a mobile device. I was not expecting much in the form of graphics. The graphics can be hit or miss. Some of the card art is decent, while others are just plain bad. There are also very little dazzling special effects. In a nut shell, the graphics are fairly simple in nature. As with the graphics, I was not expecting great sound with this game. I was, however, surprised by the sound. The sound effects sound decent and come from the movies. The music in the background is music from the movies, and does not have a cheap feel to it. It is always nice hearing the Imperial March when battling. Face it, if you are a Star Wars fan ,this game will be somewhat entertaining to you. I find the game very entertaining, and it is nice to see a vast selection of characters to choose from in your fight to the top of the leaderboard. It’s a Star Wars game. Game can be overwhelming at first for new players. There may come a point where the player will have to pay to compete. Developer – Konami Digital Entertainment, Inc. Publisher – Konami Digital Entertainment, Inc. Essentially the game is a digital trading card game similar to Pokemon. The player also has the ability to choose the light side or the dark side.